Suppose each country implements something called the T3 tax, whose U.S.
published in 2005 by economist Richard Tol. 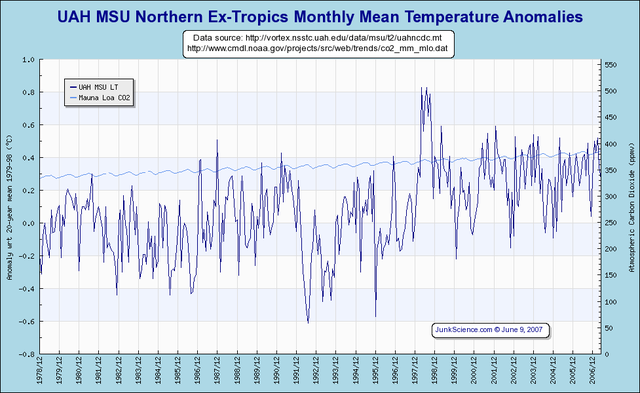 He chooses the "tropical tropospheric temperature anomaly" because that is effectively the canary in the underground mine. 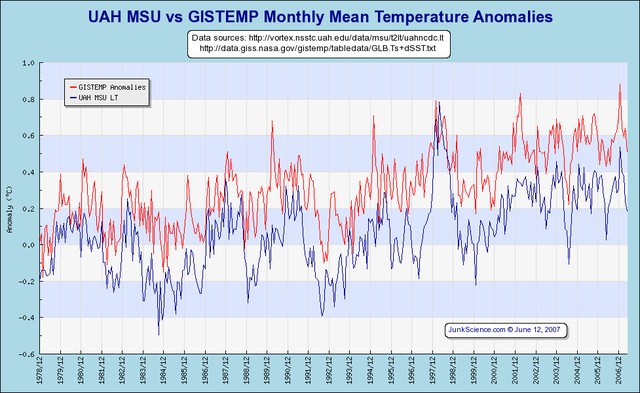 According to AGW theory, the troposphere (the lowest 10km of atmosphere) will be warmed more than the earth's surface. 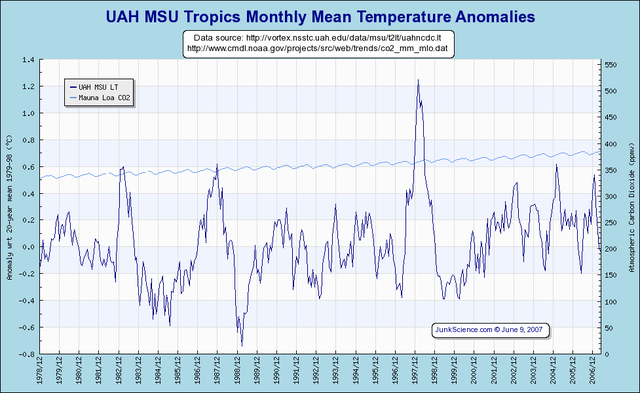 McKitrick also says that AGW models show the tropics will be warmed more than high latitudes. they can hardly reject the policy on the belief that they are true. 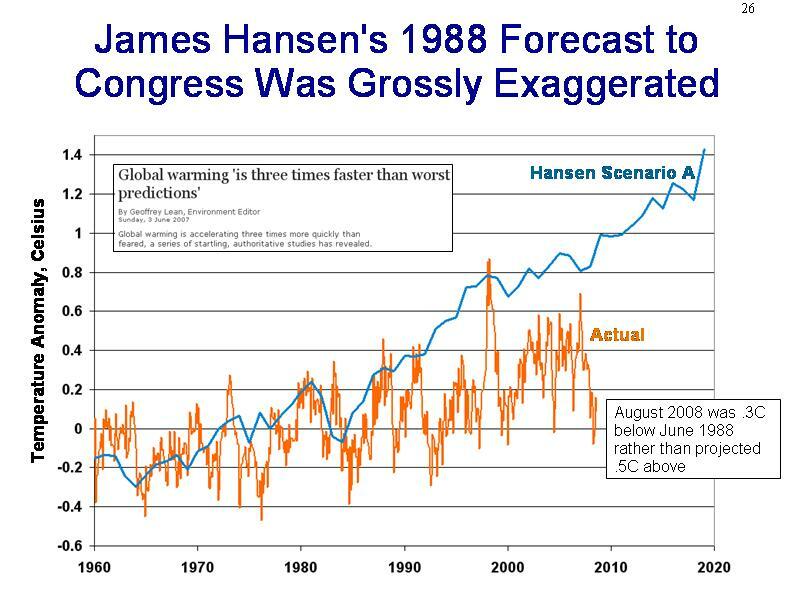 I think many skeptics would jump at such a proposal (as long as there is some control on AGW supporters "restating" and "correcting" the satellite readings -- there is nothing AGW scientists are better at than "correcting" historical numbers that don't fit their story line). One reason is that we skeptics know one of the AGW dirty little secrets: In fact, against all predictions of the theory, the troposphere has been warming less than the surface. Also, while I get conflicting inputs on whether the tropics or the northern latitudes should warm more, but if McKitrick is correct, the fact that the tropics have been warming less than higher norther latitudes (but more than southern latitudes) is also an inconsistency. In case you don't keep a full set of tropospheric temperature histories sitting on your desk, here are several from Global Warming at a Glance. And here is a comparison of Global lower troposphere temperatures (in blue) vs. one compilation by the GIS of measured surface temperatures in red. 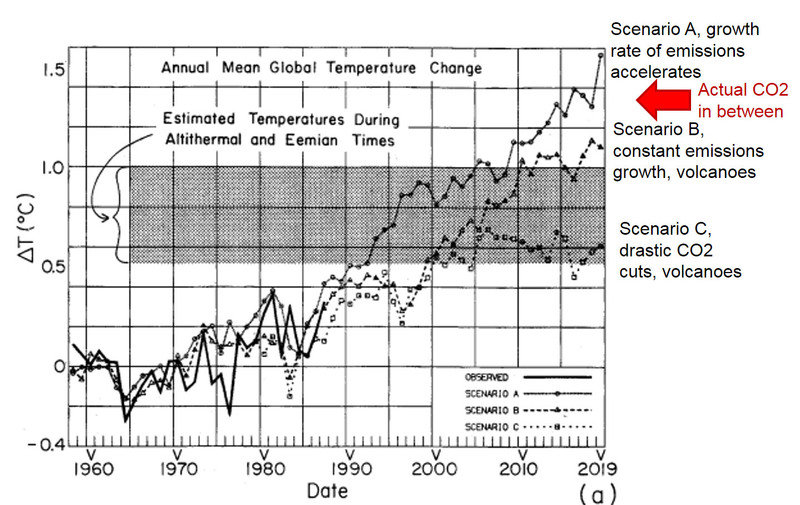 Note the divergence, which is exactly opposite of what AGW theory says has to happen, given the surface temps have a 0.5 to 0.6 degree anomaly Note that this may be because of some serious biases to ground based temperature measurement, but then that would mean that global warming is over-stated. Look for my upcoming "Skeptical Layman's Primer to Anthropogenic Global Warming" or email me for a pre-release beta copy.